The mad Wizard in his tower has sent his minions to terrorize the countryside. 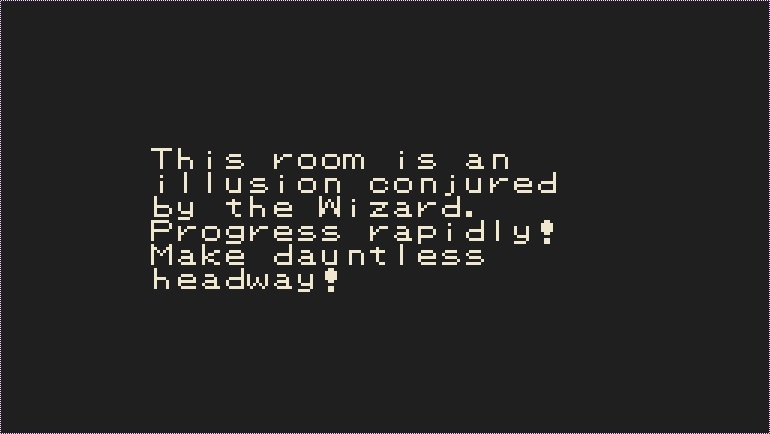 With the army away in foreign lands, a lone stranger enters the Wizard's tower to end his menace. 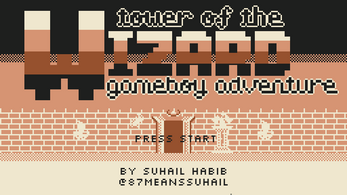 You play as a lone adventurer who seeks to put an end to the threat of the mad wizard. Navigate a challenging dungeon, filled with traps and foes. 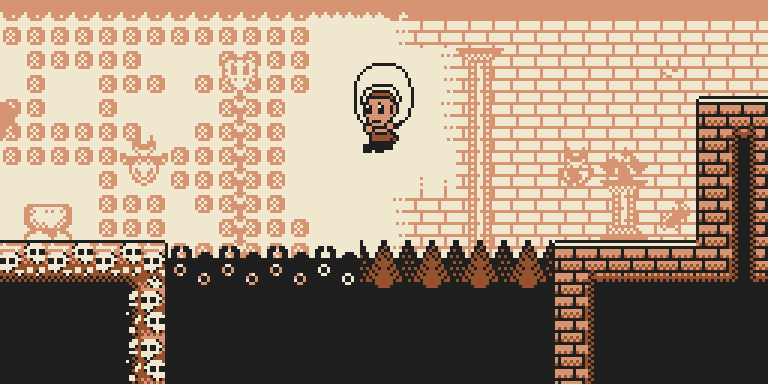 Use the map that you will pick up early on in order to find various equipment, and use them in turn to traverse the myriad obstacles the tower presents to you. In the tower you will find a spear that will allow you to slay foes and bounce on their heads, a pair of gloves that will allow you so slide down walls and also cling to them and jump from them, and last but not least, a light cloak that will allow you to glide as you fall. 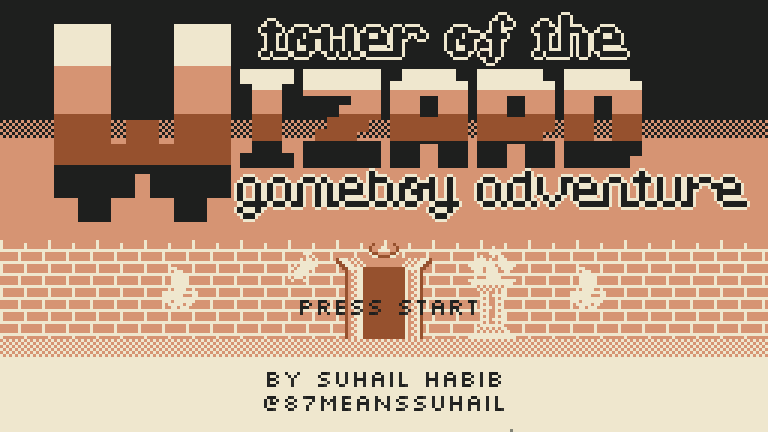 Tower of The Wizard: Gameboy Adventure (full title), is a metroidvania platformer at heart. You need to explore a vast, open castle, and use your map and your skills to progress. 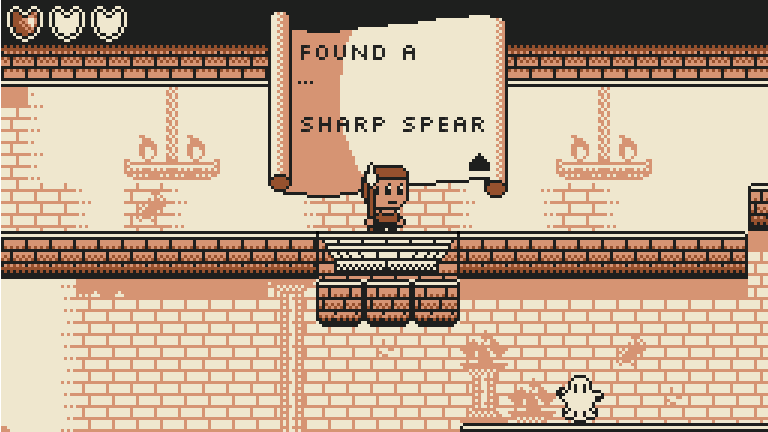 The game is a love letter to the old platformers, and is very challenging. You will need a lot of patience and practice to progress in the game, but once you finally cross a pesky section by pulling off a series of connected maneuvers, you will feel like the biggest badass of them all! 1) A big tower to explore, consisting of 36 connected rooms. 2) 4 fun character upgrades. 4) 4 different trap types. 5) Challenging and rewarding platform gameplay, interwoven with basic combat mechanics. 6) An intense and surprising boss fight at the end. 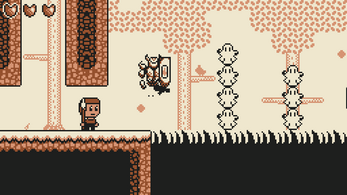 7) Retro graphics, inspired by the 4-color palette, and the pixel height (144px) of the gameboy. Seems very weird, maybe the game widget lost focus in the window? I don't remember what button is supposed to progress that screen, will check and tell you. The false hits make the game impossible to play. A challenge is okay, but please, make certain that the physics match up with the level design, and vice versa. PS: while the chance of being hit by an object is disproportionately large, the chance to hit a monster with the spear during a jump is disproportionately small, leaving less than a single frame worth of error for timing in some places. The game doesn't use hitboxes at all, it uses pixel-perfect collisions. Meaning, it registers a collision if two pixels are on top of one another. 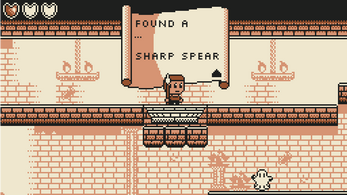 Since the spear's head is small, you have less "area" to work with, but it is expected of you as a player to master the aerial controls (you will notice that in the air, the characters turns much slower than on the ground, which in itself also has a small delay. All of this is deliberate and mastering these controls is a skill the player is expected to develop). Regarding the "impossibility" of the game... the game was balanced for mobile, which means it is significantly easier in the web version. To be more precise, when speedrunning the game, an experienced player can complete it in less than 15 minutes. A first time player is expected to require around ~2 hours to complete the game. 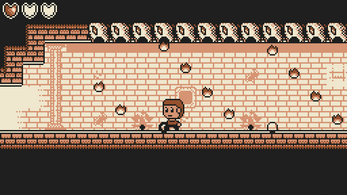 I've had many cases where a hit was registered when player-sprite and projectile-sprite had a gap of a few pixels between them (what I call the false-hits), so pixel-perfect is not a moniker I would use for the collision-detection. too many false hits, please tighten hit-boxes.